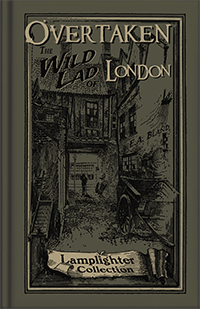 Known as a wild lad, young Ishmael lives in Gold Lion Row, the rough section of London. He suffers great loss and finds himself alone and bewildered. After enduring a cruel beating, feelings of stony hardness overtake him and he leaves home for good. But Ishmael’s dark world brightens when the words from the street preacher reach down deep, and he is changed. No longer is he alone, for he now has a Friend who sticks closer than a brother!